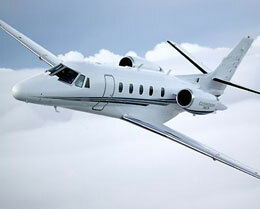 The Cessna Citation XLS is a faster, longer-range version of the Citation Excel. 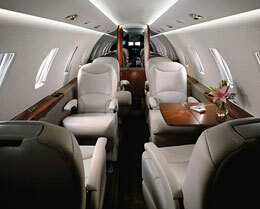 In turn, the Citation XLS+ is an even further upgraded version. While some may subscribe to the opinion that you shouldn't fix what isn't broken, Cessna seems to disagree, while offering continual improvements and upgrades over their already successful entries. The most significant change over the previous XLS version is the implementation of two more powerful engines. 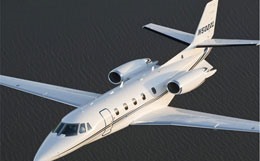 This allows the XLS+ to definitively outperform most jets in its category in addition to outshining the previous entries in the Citation Excel family. 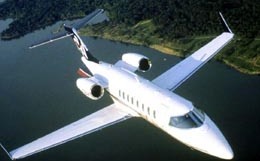 Classified as a midsize jet, the XLS+ can compete with smaller jets in terms of takeoff, landing, handling, and agility. Many operators have appreciated the docile functionality of the XLS+ as a result. Blending light jet performance and midsize jet interior cabin space makes this model an excellent choice for a wide variety of possible missions. With a maximum range of 1,858 nautical miles, the XLS+ is ideal for travelers who require quick, smooth flights without sacrificing comfort. Cabin comfort in the Citation XLS+ is monitored and maintained by dual air conditioning systems, which stabilize interior temperature regardless of the inevitable fluctuation of external conditions. Triple sealed doorways and triple-pane windows keep the interior cabin draft-free and quiet. The XLS+ comes standard with larger seats, sliding headrests, a wine caddy, worktables, and even a couch to maximize cabin comfort during flights. This comfort extends to the pilots with a fully-integrated Collins FMS-3000, diagnostic system, dual CDUs, Electronic Checklist, and Performance Database. The simplicity and intuitive nature of the cockpit's control panel allows pilots to moderate their workload efficiently and maintain awareness comfortably. Combine this with solid trailing link landing gear and extremely powerful carbon brakes and you're left with a private jet that is as safe and reliable as any other in the industry. Cessna has a history of taking customer feedback seriously and as a result, they have delivered an impressive upgrade to the best-selling business jet on the planet. The Citation XLS+ has admirable specifications across the board with no clear shortcomings as an extremely solid midsize jet. Cabin dimensions of 18' 6" length, 5' 6" width, and 5' 8" height provide ample freedom of movement for private travelers. Although the XLS+ can carry a maximum passenger count of 12, it can most comfortably seat nine passengers. Convincingly beating the vast majority of jets in its category and competing definitively with light jets, it requires only 3,560 feet of runway space to takeoff at maximum weight. It performs optimally at a speed of 441 ktas and can climb to 45,000 feet in just 29 minutes. It has the largest external baggage capacity in its class with over 80 cubic feet of space. Cessna has traditionally created simple yet powerful performance aircraft and the XLS+ is no exception. 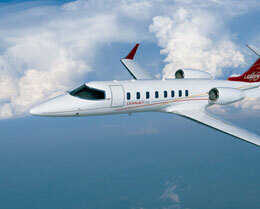 It is an extremely reliable midsize aircraft that can outperform its competition in many regards. It blends reliability, high performance, and versatility and epitomizes the high standards of the Cessna family. For more information about chartering, leasing or buying a Citation XLS+ please contact us by calling +44-20-3874-8091 or send us an email here.